As well as Metaphors, Symbolism, and other Joys Of Life. Said every lit student ever. 3) thinks the smoke produced from lit essays may have been responsible for the recent haze problem. If this isn’t you, and you’ve been consistently scoring 42s/50s for your literature essays, then well done! This is no place for you. Run along now and do your maths TYS. For the rest of you who are still here, welcome to the plainest literature lesson you will have in your entire life, partly because this makes it way easier to understand things, and partly because this writer here did not go on to learn more about symbolism and onomatopoeia at the tertiary level. Ok, I promise that’s the last 4-vowel-in-a-row word I’ll use for today. Literature is easy. The only thing you need to understand is how literature is not about what is being said, as much as it is about how and why it’s said. If you get this, my job here is done. Because that is what took me about one and a half years to understand. 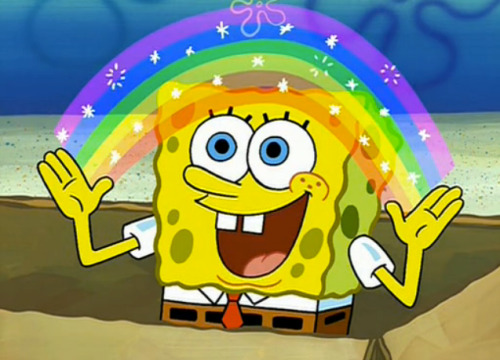 And when I did, rainbows began to form in the post-monsoonal skies of my dark and stormy grades. 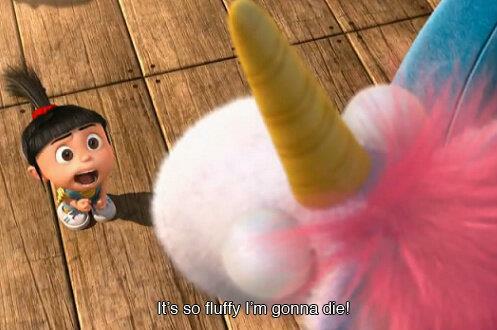 How it felt when I saw the light. Throughout your education from secondary school to JC, you, the average student, would’ve come to believe that pointing out what the text says is the ultimate aim of literature. Because after all, that does give you marks. When you were able to say Macbeth was about Hubris, Catharsis and Anagnorisis, or when you managed to weave the words parallelism and manifest destiny into your response to The Crucible, you got nothing but pr-A’s. Right? Unfortunately, just like that other thing known as ‘everything else you learn in school’, things are slightly different in the real world. 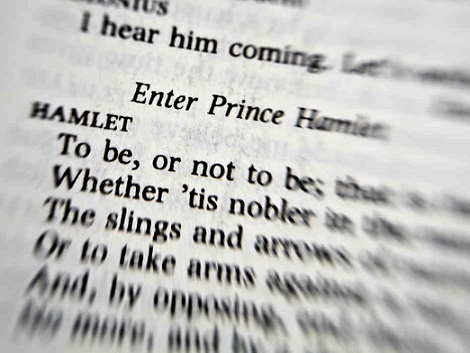 Literature is not Shakespeare. It’s not Great Expectations about your Sense and Sensibilities to what the texts say. These are all pieces of literature, or, in other words, examples of it. Really, really good ones. So what then, is literature? It’s the study of how words work to say what they say, based on what words are used, in what order, patterns, structures, and even shapes. And also the application of this knowledge to produce more of such pieces of writing that involve the informed use of words. In case you don’t believe me, I’ve checked up the world’s most reliable source of H2 knowledge. H2 literature, in particular, is focused on the How. For example, how does the phrase “as vulnerable as a donut in a police station” tell us in a comical way things about donuts, policemen stereotypes, and whatever is being called vulnerable? Or, in the preferred language of the exams, what are the ways in which the extract does what it does? When you go further, you’d realise that who wrote a piece, when it was written, and other details do matter. But that’s slightly beyond your syllabus. So you don’t care, do you? 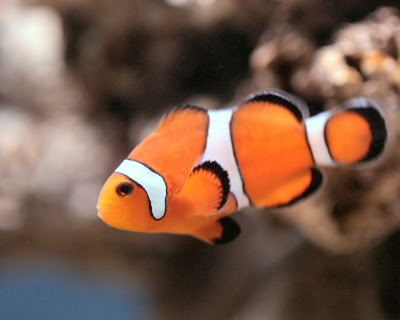 Don’t think about an orange fish. Oops, I guess you just did. In case you were slightly less imaginative and didn’t fall for my cleverly devised trap. Sometimes, words work in the most insidious ways. They occur to us intuitively and directly. Getting the meaning of a word is like getting the answer to 2 x 2. You don’t have to go through any ‘workings’ to arrive at the answer. And that’s great, because if we had to consciously re-construct the meaning of a word every time we heard it, we wouldn’t get very far with life. Now the problem, when our brains get ahead of us like this, is we don’t even realise we’re doing it. We think it’s the most obvious thing in the world. But it’s not, and writing it down can actually work wonders. 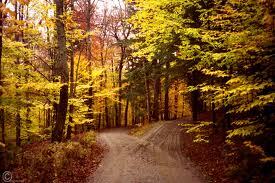 "Two roads diverged in a yellow wood." It’s pretty obvious what’s happening here. I’m guessing in your head now you’re standing at the fork in the road and seeing two different paths unfold. ‘Yellow’ somehow factors in. It may suggest a serene, serious feel, or even a cheerful, jubilant atmosphere. Repeat the line in your head. Let it bounce around the walls of your consciousness, and let the image in your head sharpen. This picture is not actually on the screen. It’s an image created by the sheer success of your contemplation. So, how does the colour yellow affect your mental image? If there’s anything we can learn about the iPhone 5c, it is that colour changes the world. Colour, along with size, space, position and shape, is one of those things that ghost past our logical minds and conveys messages directly to our subconscious. If you think about it, it does not quite make sense that just because something’s yellow, it makes us feel a certain way. But that’s how it works. We classify things by colour. We link yellow with lemons and bananas, the sun, rubber ducks and other happy things. But yellow can also be sad – like the faded yellow of an old photograph. A yellow wood, in particular, seems more in line with a forest in autumn, fallen leaves everywhere. Yellow can be sad, happy, sombre, energetic, and so many other things. Now explain to yourself how the use of colour in Frost’s opening line advances its intended meaning. You may also want to examine the use of the past tense in the word “diverged”, and how it works together with the colour yellow. To encourage yourself give yourself 100marks for each question, cos that's what motivates us all anyway. But sometimes, literature works in the exact opposite way. It presents you something like 101325 X 9001. Here is when you do need to go through some thought processes to arrive at its meaning. Consider then, anything from Shakespeare. "Two roads diverged in a yellow wood/And sorry I could not travel both/And be one traveller…"
I felt sorry that as one traveller I could not travel both paths at the same time. The first step is to look at the literal, surface meaning (called the ‘form’) of the words. Here it is simply that the traveller couldn’t simultaneously travel both paths while staying in one piece. Second, consider the effect of this literal meaning. What does the form imply? Do you see in your mind an image of this traveller multiplying himself into two? Put yourself in his position. Do you feel like two opposing forces are pulling you in different directions – each towards a different path? Use your five senses to guide you. This picture is actually on the screen. It’s for the slightly less imaginative once again. Third, think about what meaning this image and emotion conveys. The idea that, if the traveller could, he’d split himself into two so as to explore both paths. Does it bring out a stronger sense of indecision, uncertainty, and maybe even frustration at the physical constraints of his situation? The poet is emphasising the traveller’s dilemma here. Finally, ask Why. Why does the poet choose to write this way? How is this better than or different from if he had called the forest green instead? Does it make sense? Does it help to convey the overall message of the entire poem or text? If your interpretation of a certain verse is inconsistent with the rest of the text, chances are you may be misinterpreting it. But it could also be the poet trying to bring about contrast. It is important to think about Why the poet tries to emphasise, downplay, mention, hide, or does whatever he does to what he’s talking about. Understanding Why also helps you arrive at the meaning in step 3. Bonus step: Write ALL of these down on your script. NOT just the meaning. Marks are awarded for workings aren’t they? For the average student who also takes GP: This is exactly how you should attempt a metaphor question as well: Form – Effect – Meaning. 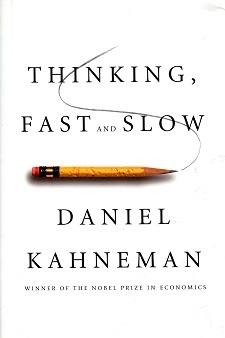 Note: If you’ve read Daniel Kahneman’s Thinking Fast and Slow, all you need to know for this portion is that words work in both slow and fast thinking, and you really need to write down all of those slow thinking processes in a lit exam. But you’re an average student. Average students don’t read such books. Disclosure: This apt product placement not sponsored by any commercial entity. Just so you were wondering how to apply what you've learnt. Because the average student typically doesn't care about application. Question: How does the expression “as smokey as a literature essay” work? Simile and symbolism is utilised here to evince the cloudiness of a literary piece of writing, in that the latter is being juxtaposed with the concept of smoke, what is produced where fire, something that symbolises anger and power, exists, such that the writer illustrates the unclear nature of literary writing. This. Makes. No. Sense. What on earth is “the concept of smoke”? Simile and symbolism, concepts raised in the answer, have not been explained to show how they strengthen the meaning of the expression. The sentence is way too long, and not to mention fire is brought in for a spectacular over-reading. A quick rule of thumb? Write simply. You're not trying to copy what the author did as much as explain it. There may also be an association to how smoke in itself is gaseous and intangible (form), reinforcing the idea that literature essays often have no solid substance(meaning). When something is good, the merits are self-evident. If you’re reading this, congrats on surviving a full article on literature. Din’t think that was possible did ya? Me neither. Now the only thing left to do is re-read it a few times, let it all sink in, and start dominating the world with your newfound literary genius. Poetry For The Perplexed - A Guide To The Incomprehensible.